Leonardo’s reputation as a sculptor rests on a statue of a horse that he never finished. 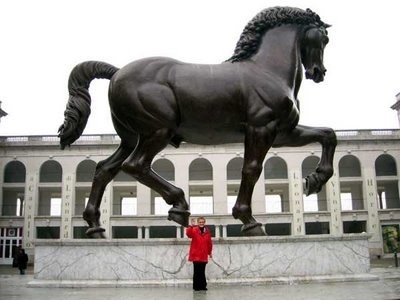 His patron, who was to have eventually been portrayed on the much-greater-than-life-size Gran Cavallo, had war and money troubles and swiped Leonardo’s bronze for cannon-building. The modern Regisole, shown here on the left, dates from 1937, as the original was destroyed in the Jacobin uprisings. 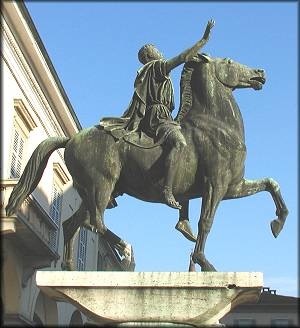 The statue was finally cast, without a rider, which Leonardo intended to add later, in 1999 and stands in Milan. 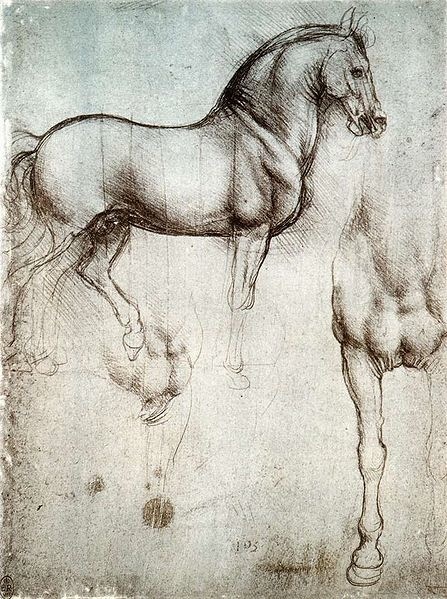 Speculatively, from a modern perspective, this horse looks to be of Spanish extraction, of an Andalusian type. Definitely not what we would call a Throughbred. I believe many non-horsemen think a TB refers to any deliberately bred horse. This might be the “Ginetto grosso di messer Galeazzo,” the big “genet” of Messer Galeazzo, which was a kind of Spanish saddle horse. 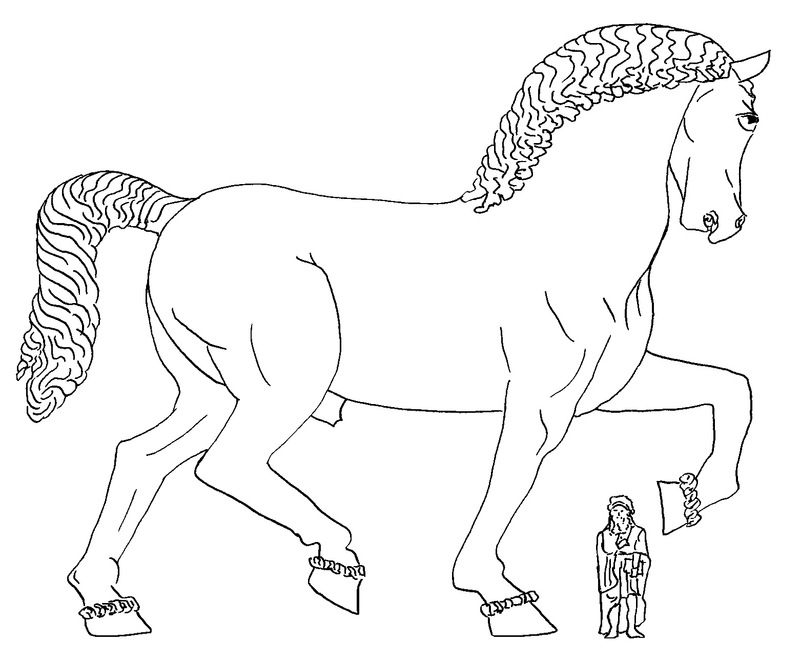 Or, it might the the Sicilian horse he drew several times, or neither.